Life isn’t always a white picket fence. That’s why we at Richys believe in making it easier for you to get the best fencing Parramatta money can buy, located locally in the heart of Sydney’s west. We know the ins and outs of the business of fencing, and have been operating for ten years as a leading provider. We’re delighted to bring you the best in all types of materials. With a decade of quality experience in customer service, our licensed provider team can deal in aluminium, colourbond, gates and timber. Building pool fencing? Security? Or just plain pickets? We can assist you. Dealing in all types of fencing Parramatta, Richys looks to be proactive and get the job done on time, every time. Don’t ever worry about poorly done jobs ever again with a business that believes in the customer service model as well as being a great handyman. Avoid catastrophe when you book with someone who adheres to the books. Richy’s is fully insured and licensed, with a focus on current and upcoming legislation so that we know the ins and outs of the trade. Fencing of all shapes, colours, builds and sizes is our speciality. 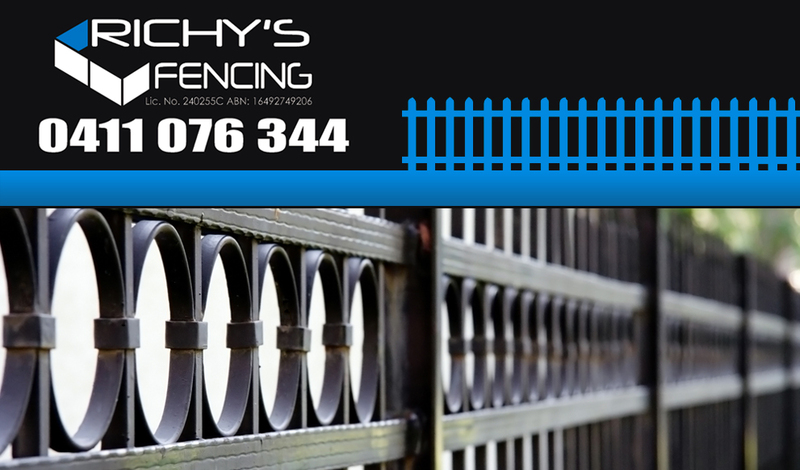 At Richys, we believe in fencing. We’ll go the distance every time, so that you don’t have to worry. In all our builds and maintenance work, we delight in making all your fencing Parramatta needs across pools, security, boundaries and pickets a breeze. We like to think of ourselves as proactive. That means we’ll take the time to look for detailed problems that might hit you in future, and can amend them in kind. In no time, you’ll be talking to your neighbour across a brand new fence. With a great service location area area servicing most of Parramatta, you’ll be pickled by our flexibility to adapt to any business schedule. We are extremely professional, running to all our dedicated business times, and of course – no surprise visits ever.